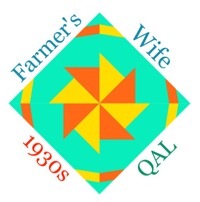 Hi, welcome to the week nine in the Farm Girl Vintage Sew Along #farmgirlfridays that the Fat Quarter Shop and Lori Holt are running for Lori's new Farm Girl Vintage book. 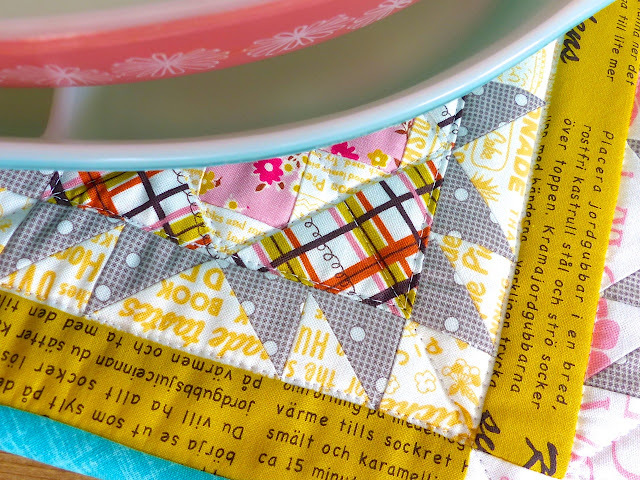 The pace is gentle; one block a week, each Friday feature's two guest bloggers and you can either drop in and make a single block, small project or go for the whole quilt! I chose to make the 'Feed and Seed' block. It's a classic quilt block and I am a sucker for blocks like this one that feature a square on point within a square, I like the way they look like they are blooming! 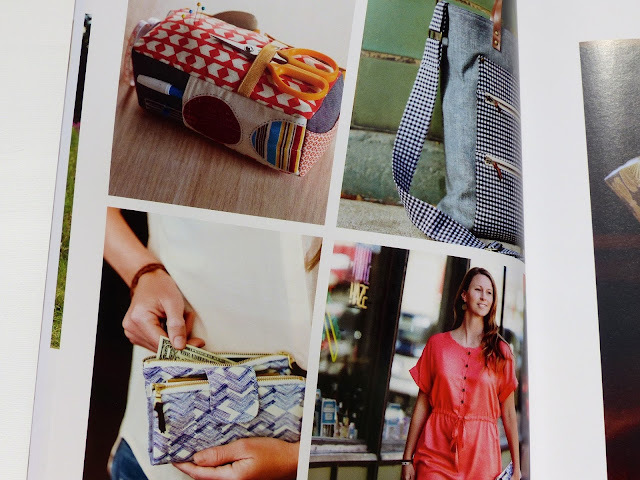 As with Lori's other books published by It's Sew Emma, the book making arm of The Fat Quarter Shop, Farm Girl Vintage is spiral bound with great photography and clear diagrams and instructions. There are tables, diagrams for each part of the block making process and lots of sizing options. 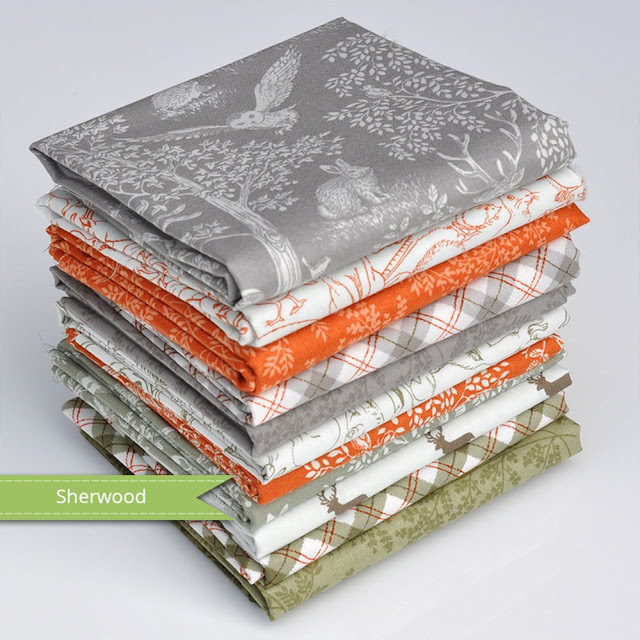 There is a grand real of fourteen projects which includes ten quilts, two table runners, a table topper and a potholder. 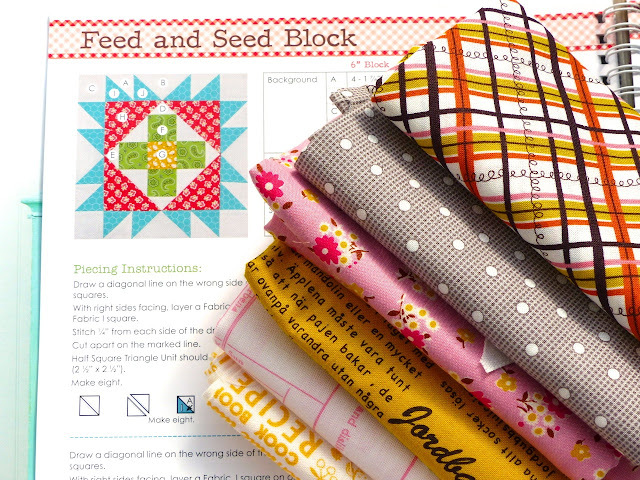 There are forty five sampler blocks, all featured in the sew along. I chose to make a 6" block and extend the sides and edges with extra pieces to make a mat for our table. My fabric choices came out of a block I did for My Small World Quilt Along. I liked the colour palette so much I wanted to repeat it! 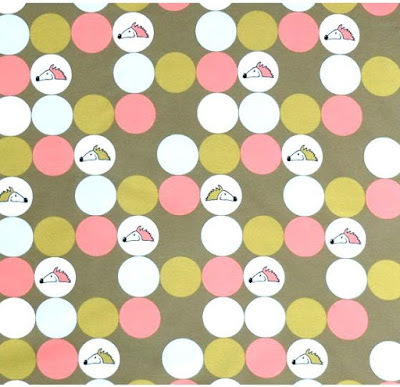 The fabrics are a mix of Lori Holt's (the text prints,) Ayumi Takahashi's Lighthearted, Pam Kitty Morning's dots and a Sevenberry pink floral. The binding is Michael Miller Painter's canvas in Mermaid. It is bias cut to curve round the corners but otherwise 2.25" wide, double folded quilt binding, machined to the front and hand finished on the reverse. 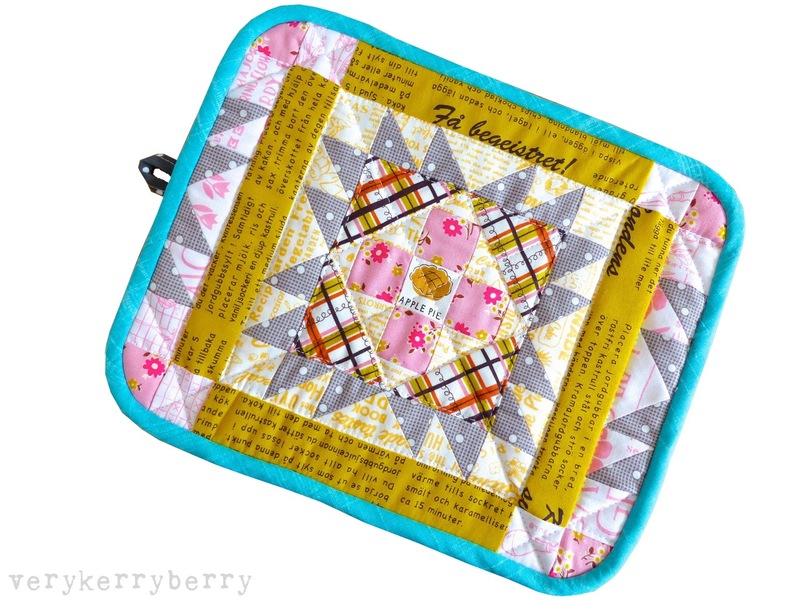 If you are making a square cornered pot holder, Fat Quarter shop have put together a helpful video on using the backing fabric as binding. Many of these shops will send elsewhere in the world. Yes I know, time is moving very quickly and although it isn't July quite yet, it is only a week away and some Christmas-in-July quilt shenanigans are afoot at the Fat Quarter shop- there's a free pattern and anyone can join in with the Little Joys Quilt Along! There's nothing like preparing for Christmas early and I just know I am going to feel a little bit smug at the end of July when this little quilt top is pieced ready for December! It's a simple nine block layout based on three different blocks and it has been designed by Elea Lutz of Penny Rose Fabrics. 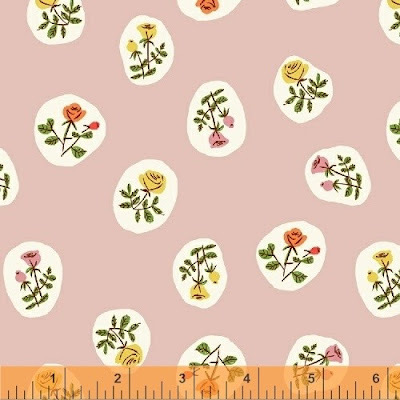 I'll be using fabrics from a kit kindly supplied by Fat Quarter shop so my quilt will feature the gorgeous Little Joys fabrics and I'll be adding pink prints in as well as red and green. 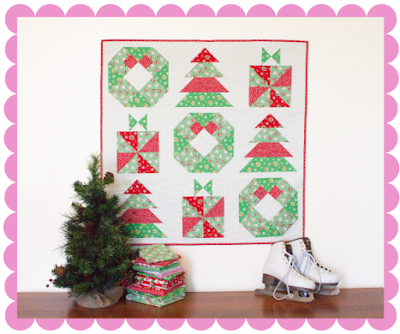 Find all the info including a PDF with fabric requirements so you can either buy a quilt kit with all the Little Joys fabrics you need or make it in your own mix of Christmas prints. The first construction post starts on July 8th and the schedule and all other details can be found here. Time for my June visit to Eternal Maker. 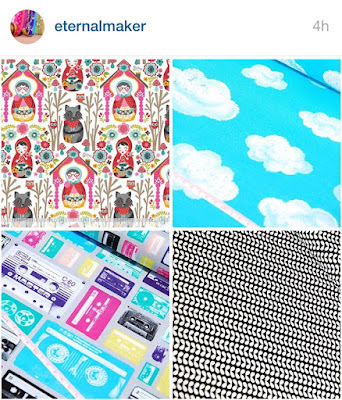 Anna is just swapping the website to a new system so some new arrivals aren't online yet but will be in the next week or so and you can catch pictures of the newest stock on the shops Instagram feed, @eternalmaker and email to buy and they will send you a Paypal invoice. There's a 20% discount on last-chance-to-buy bolt ends on the website right now- this pic is borrowed from @eternalmaker IG feed. Meanwhile plenty of goodies have arrived and are listed online and ready to buy. Summer is the perfect time for double gauze. 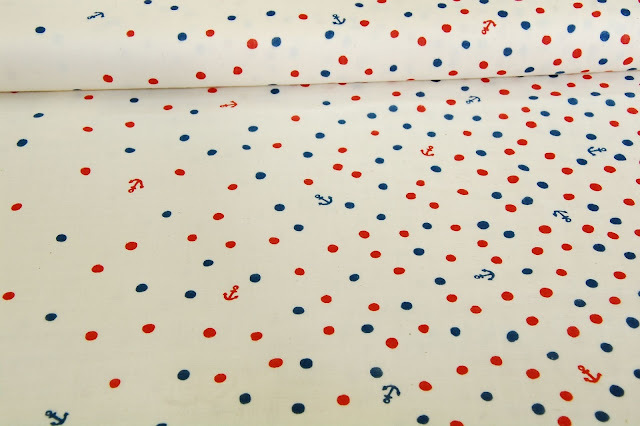 This Kokka Anchor double gauze is a lovely print and from the spread of the dots, it looks like it is almost a border print. 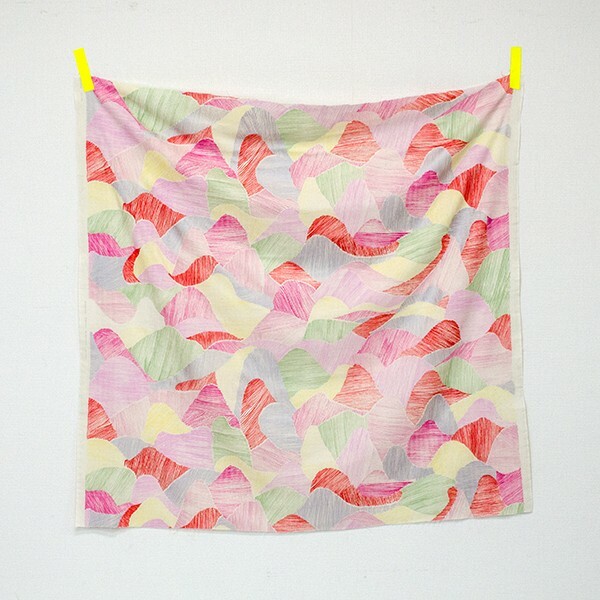 Naomi Ito of Nani Iro is the queen of double gauze. Frances of Miss Matabi has an interview with her here which is a fascinating read and the first which has been translated into English. I think this Bird's Eye print in cream multi is from her most recent Spring 15 collection. 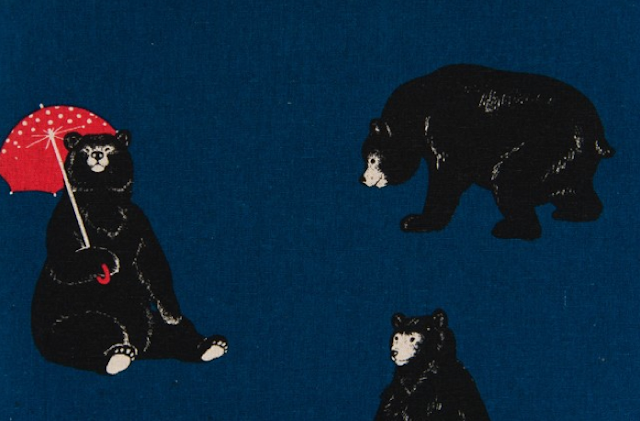 Mountain Views is another of Naomi Ito's most recent Nani Iro prints. 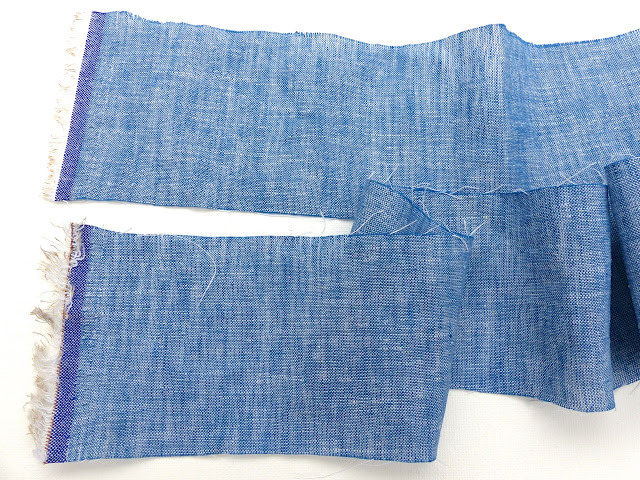 You can see a whole width of fabric view of it here. They really are breathtakingly beautiful fabrics. 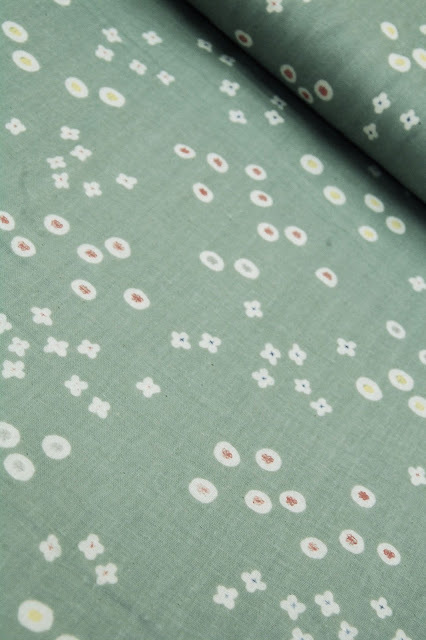 Scattered Flower spot by Muddy Works, another Japanese double gauze fabric from Kokka, is a muted pattern and colour with a delicate quality. I really like this, it looks so wearable. 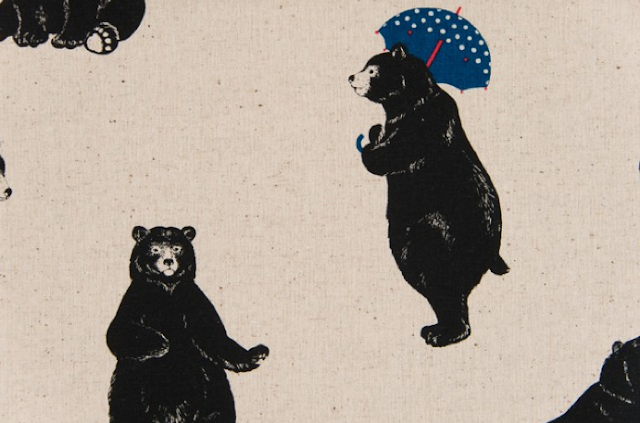 Cosmo tex 'Bears with Brollies' is a typical Eternal Maker fabric, a Japanese linen blend with a quirky animal print! 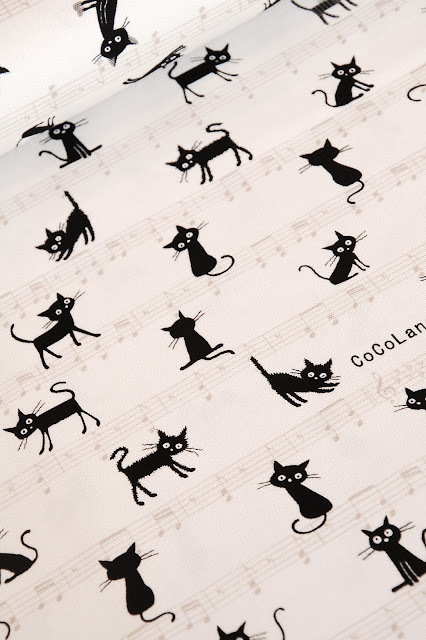 Another slightly heavier weight fabric is this Cocoland Musical Cats. 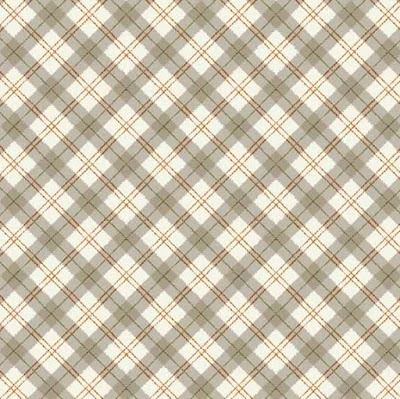 It's printed on Oxford cotton which is lighter than canvas but heavier than usual quilting cotton, a bit like heavy shirt fabric. Also available as a cat only option! 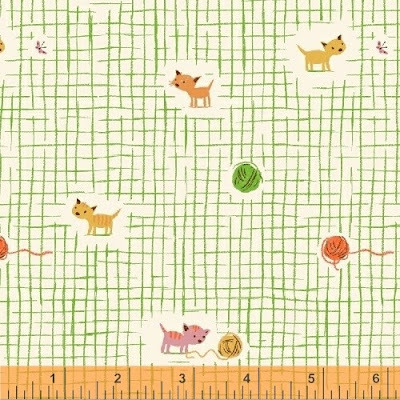 There are some new knit fabric additions. 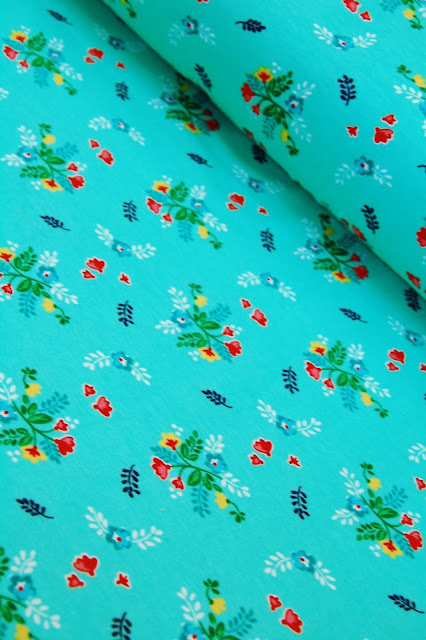 I love Tasha Noel's Vintage Market Floral Jersey, the first time I've seen Riley Blake produce knit/jersey fabric. 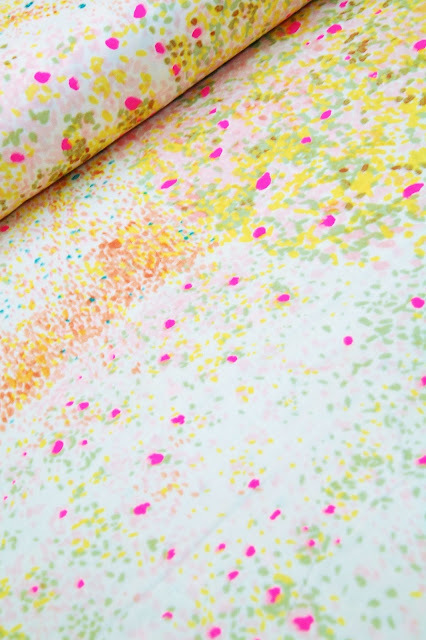 Its a 95% cotton 5% spandex blend (like Art Gallery jersey) and a wide width at 150cm. I think the colour in real life is a little more minty than this photo which leans towards an aqua turquoise. Lillestoff is well known Scandinavian manufacturer of excellent quality jersey fabrics, often found in Europe although in the UK so much. This Hedgehog print jersey is cute with an imaginative colour palette. 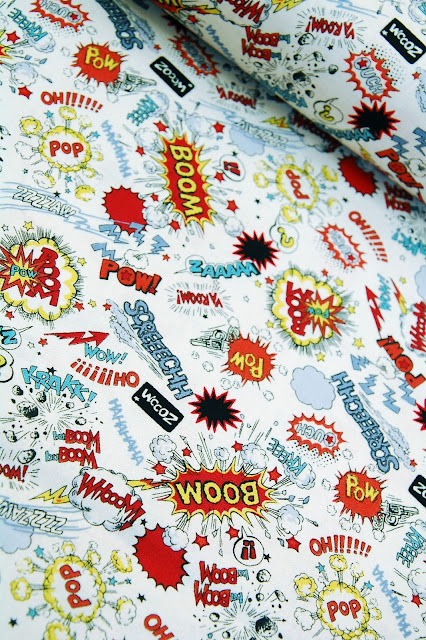 It's a 95% cotton 5% elastane mix and 150cm wide. 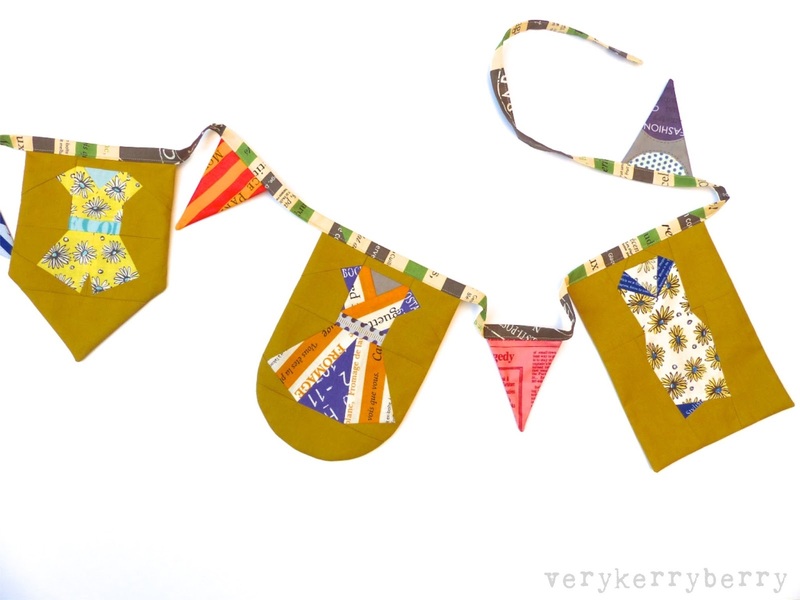 Enjoy all the fabric pretties! Fat Quarterly is back on sale after the new year EU Vat changes that rather scuppered many PDF pattern sellers. Payhip has been a great solution for many sellers including Sew-ichigo- it has been totally hassle free for us! 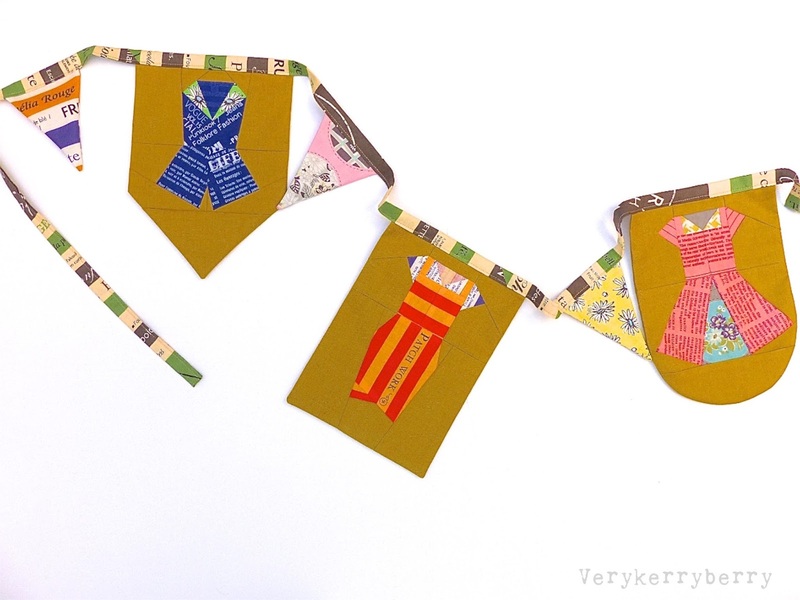 The latest issue (Number 20) is Paper Piecing and I designed the 'Dress Me Up Banner'. You can see a preview of the issue here. 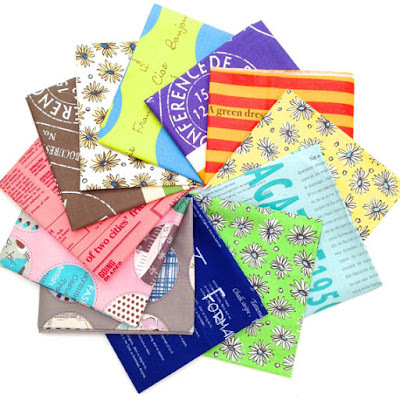 It's a collection of simple, clothing themed, foundation paper-pieced patterns. I designed these to keep the number of different sections needed to the absolute minimum. All the fabrics are Suzuko Koseiki prints, kindly supplied by lovely Becca of Sew Me a Song and she has a bundle featuring all the prints in her shop with a fat eighth and a fat quarter option or you can find individual prints here. 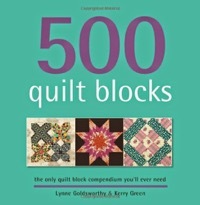 Although the pattern is for a banner, the individual blocks could be used for quilts, mini quilts, pillows, small projects- the usual quilty stuff! The finished banner is 8" x 120", I have mine across one wall of my sewing room. It was a tricky beast to photograph! Find the issue at Fat Quarterly. 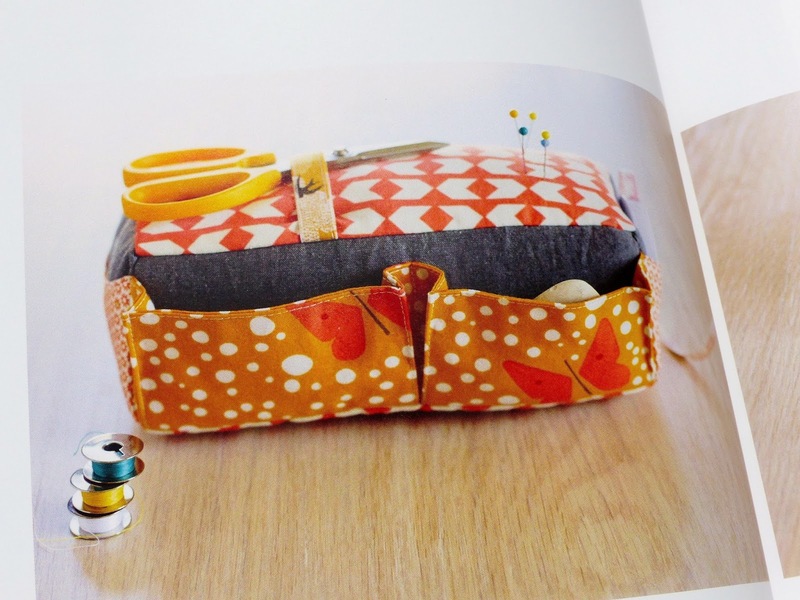 There are lots of other projects inside including a very sweet house themed sewing machine cover and a stunning atomic inspired 'Beam me Up' quilt. There are lots of fresh arrivals at Plush Addict this month to peruse starting with this illustrative style range from Makower called Sherwood. 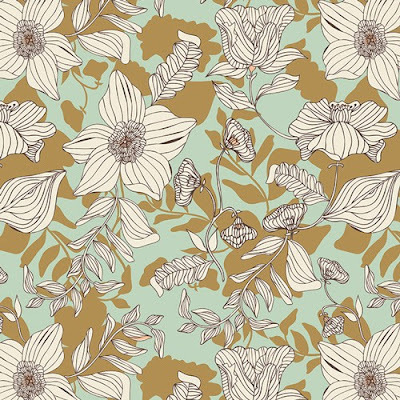 Its a subtle collection of drawing style prints with a soft forest colour palette. 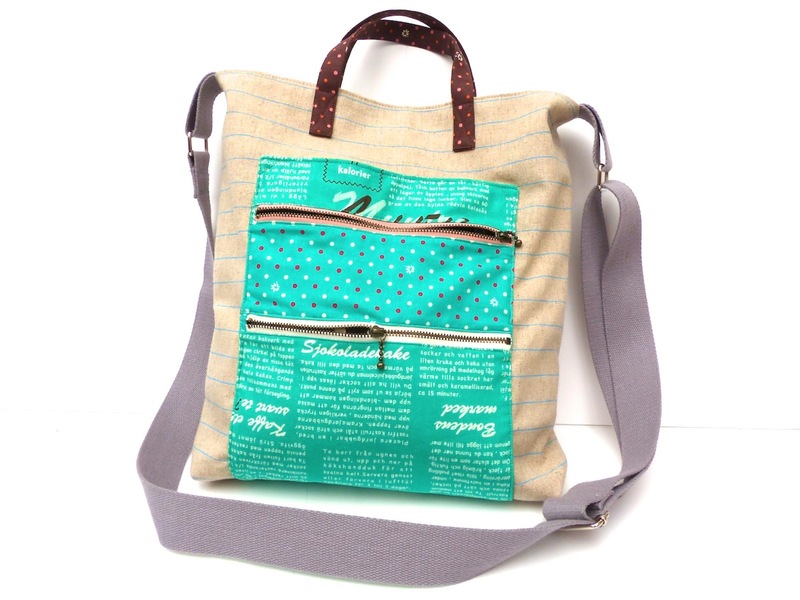 Stand out prints include 'Scenic' which comes in orange, green and grey. I also like the 'Outline' design, in green and orange. The grey plaid is my favourite blender from this range, also available in green. 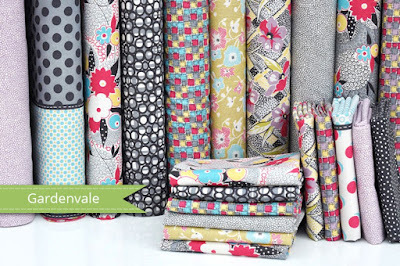 I have already started buying some of Jen Kingwell's Gardenvale collection. 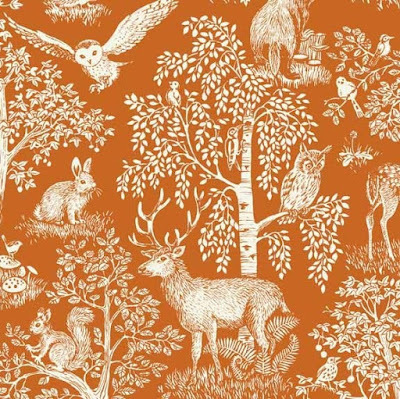 It's on eof those ranges that everyone seems to be stocking a few prints from so you may have to chase around various online shops to source more designs in the UK. I bought these prints from Plush Addict ( I may have to return for more!). 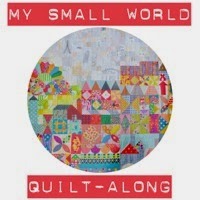 I will be adding scraps of these to My Small World quilt and there are more. 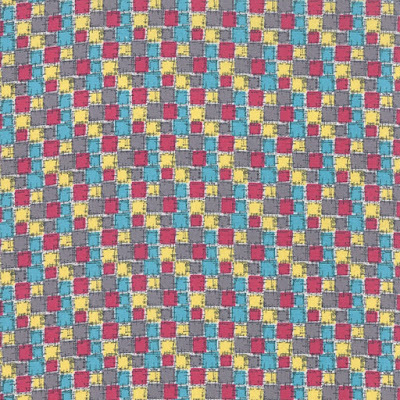 The cheater print- Carnevale Metro Dots Lucy- is great value with it's wide stripes of different prints running down the fabric. You can also find a FQ bundle option, charm squares, layer cake and jelly roll. 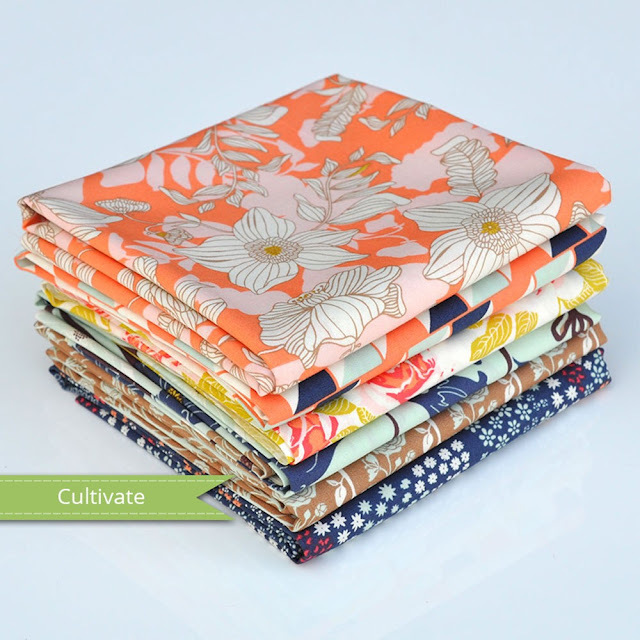 Cultivate by Bonnie Christine for Art Gallery has just arrived and there is a six print bundle option. I like the top print, Thrive in Apricot the best and it is also available as a voile in a different colour way, Thrive in Passiflora Voile. I did not know what spun viscose was and whilst I like wearing viscose as it tends to be very drapey, I am not usually keen to sew with it as viscose fabrics can be slippery to sew. This is not like that at all, it is more like a featherweight floaty cotton, the lightest lawn. It has a matt finish like cotton lawn but it has a silkier touch. 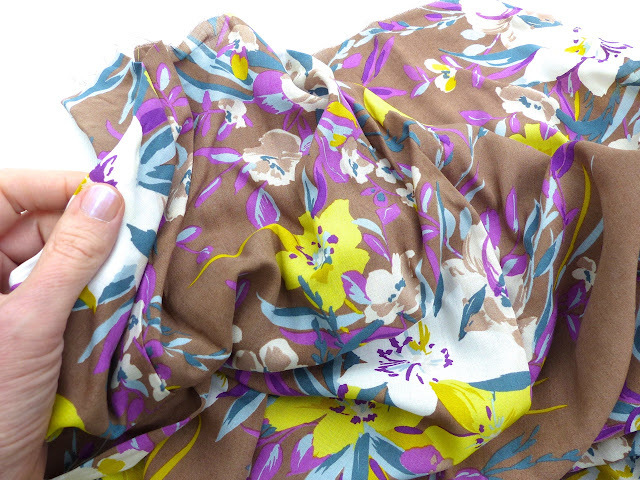 It is like rayon but not as heavy- lightness is key to this fabric! 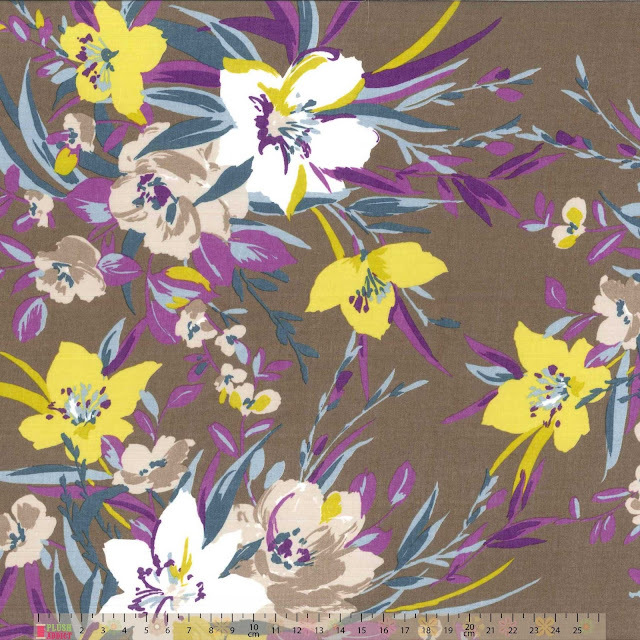 Vogue patterns are at the higher price end but they both include a lot of styles and variations for your money and for this fabric I think it will be worth it! Also in the dressmaking newer arrivals is this beautiful blue linen- this a swatch piece. 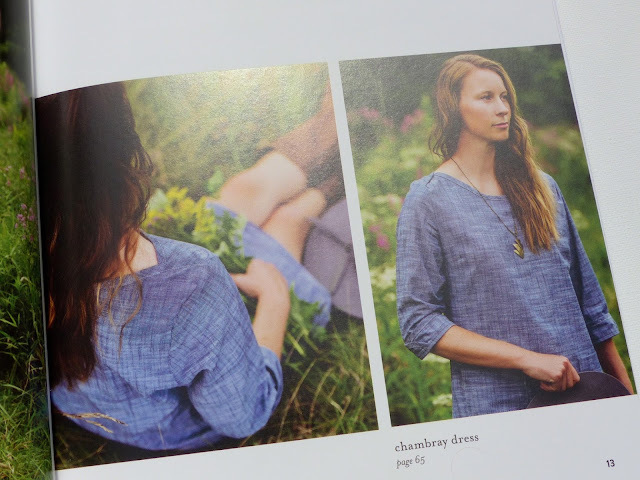 It's a chambray weave so the vertical threads are blue and the horizontal threads are white and it's a shirting weight so perfect for tops and men's shirts and it is stable enough to be able to sew run and fell seams or top stitch pockets and add details to a classic shirt shape. It is a light and cool to wear linen and if you wanted to make a shirt dress, you would need to consider some lining on the lower half as you can see through it a little. 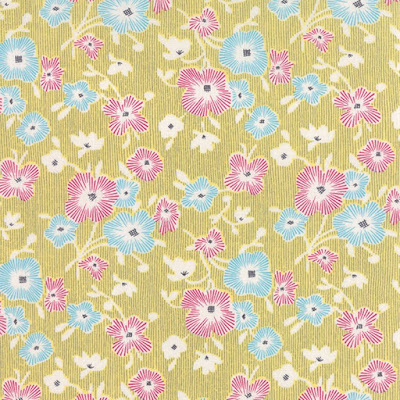 If you ever have a question about any of the fabrics at Plush Addict, especially what you would use them for, do ask Kellie. All contact details including phone can be found here and she is quick to respond and really knows her fabrics well. 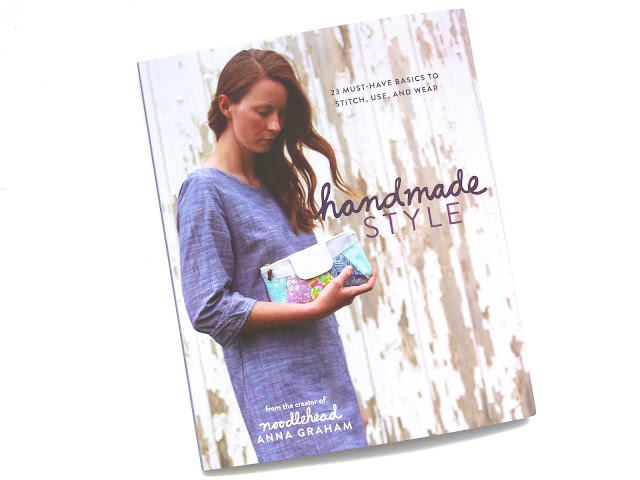 A few months back Anna got in touch to ask if I could test a pattern in her forthcoming book and now here is the book and it is just like her, full of effortless stylish information and basics that as soon as you see them you feel you have to make them! It is divided into three sections, 'To Use', 'To Wear', 'To Carry'. 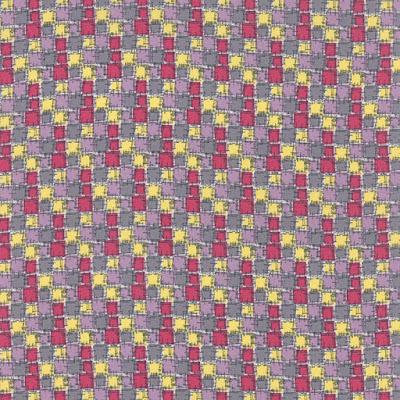 I tested the Gingham Tote pattern; the double zip version. These are the book versions. 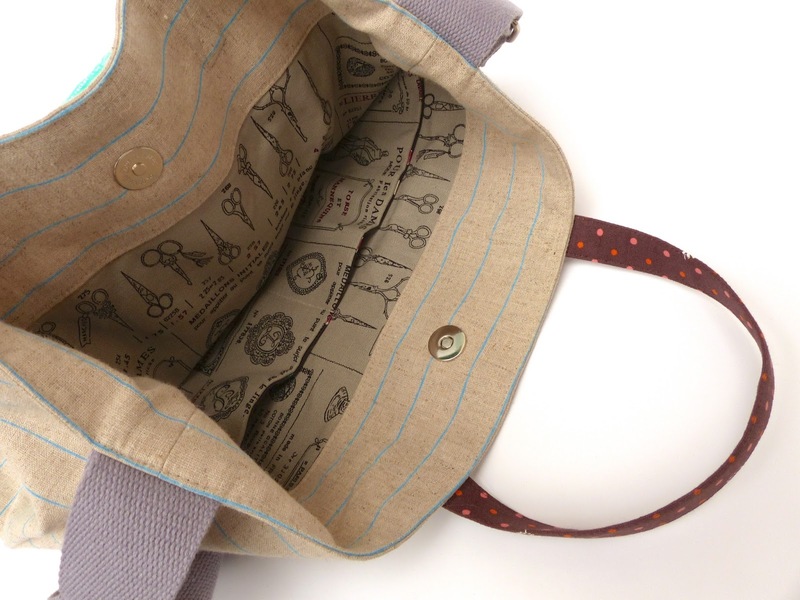 It is a rotary cut pattern which is my preference for bags and a practical design with ample storage options. I used Ayumi's Lighthearted fabrics for the front pocket and the straps, the main bag is some linen that was a swap from years back, the zips were from Chase and the linings were a mix of stash fabrics. I passed on my feedback I can see how the book text and diagrams have been tweaked from the version I received. 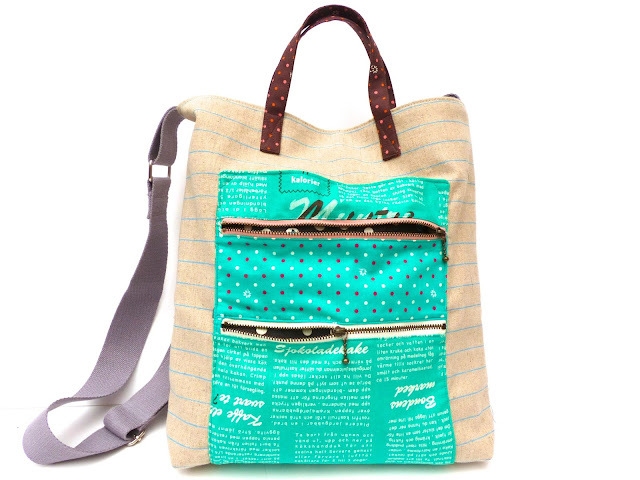 The bag went together smoothly and I love the result. It is my work bag, I wear it cross body and it easily carries my food, drink, keys and random musical instruments. I keep hair bobbles in to the top pocket and emergency snack bars in the bottom pocket. I like the way the bag fabric continues as a facing on the inner bag section. My only change was to use cotton webbing (bought locally, find similar here) rather than construct my own bag straps. The hard wear came from an old bag. It is a book that could not possibly disappoint. 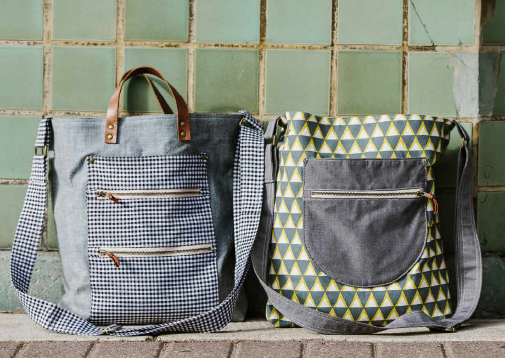 Each item is useful and restrained- no fussiness and a great attention to detail with pockets, fastenings and beautiful finishing touches. These are the items that most appealed and are on my to-do list. I plan to make this as a top. The envelope neck opening is a comfortable and easy neckline for summer and I love the way the shape repeats in the overlapping cuffs. I've never made a wallet before and I like to take a lighter purse when I travel anywhere so this would be perfect. A jumbo storage pin cushion: these have already been appearing on Instagram! My favourite designs in the book. 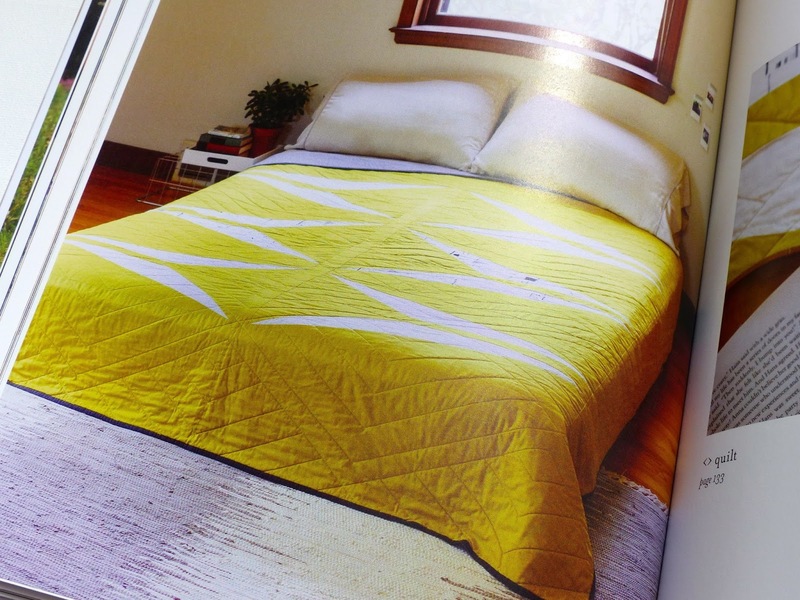 This quilt is constructed using the freezer paper technique and I love the simplicity. 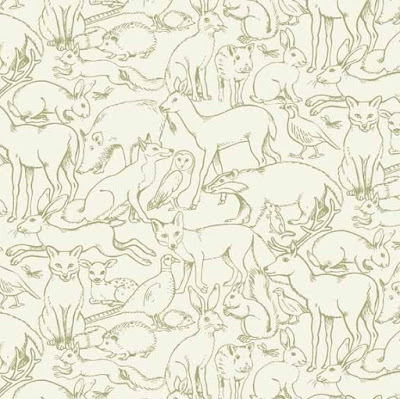 It would make a great pattern for a duvet cover too. 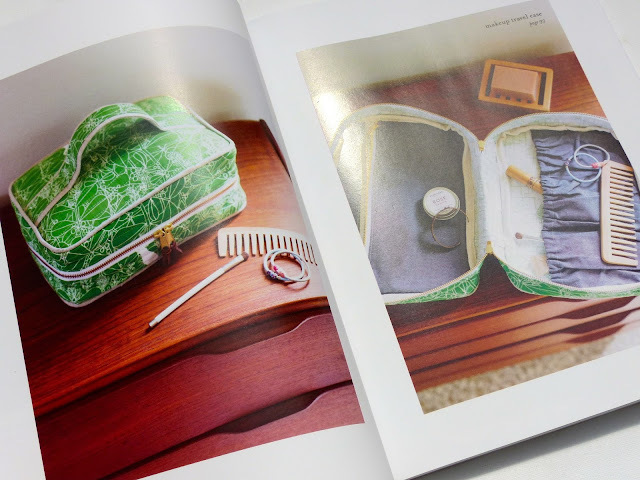 The project photographs are all at the front of the book, followed by the projects which are a mix of written instructions and hand drawn diagrams. There is a full size pattern pull out at the back. Clothes sizing is from XS to 2XL.The whole book is a delight and it's from the heart. I can feel the hard work that Anna has poured into this and she must be incredibly proud, every design is a winner!